The Anti-Hero via “The Dark World” – I.E. This entry was posted in Random Ideas, Reviews, Sci-Fi and tagged anti-hero, C.L. 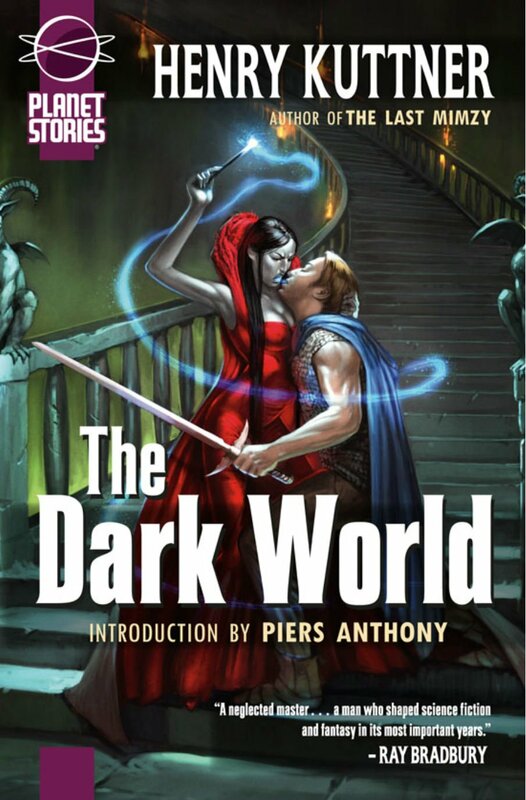 Moore, Henry Kuttner, Mary Sue, Paizo Publishiung, Planet Stories, pulp fiction, pulps, The Dark World. Bookmark the permalink. Henry Kuttner and his wife C. L. Moore were giants, Their contributions are often overlooked, in that some of their characters & narratives were ahead of Hollywood ( radio, television & movies ) expectations / social values they got short shrift in expanding their “name brand “. To appreciate their work, I would recommend, looking up Moore’s tales of Northwest Smith and Jirel of Joiry. Smith’s character DNA went into the creation of Hans Solo . Read “Shambleau” , you will never forget that story. Jirel of Joiry was a medieval female sword & sorcery warrior whose battles were with Lovecraftian gods. The tales are more Elric of Melniboné than Conan. Vintage Season by Moore with Kutter, is a classic.